It was such a pleasure to photograph baby Abbigail. I held a giveaway on my instagram and Danielle won a discount on her session. The fun part is that I have been photographing Abbigail’s Cousin Isabella who is just a month older than her since she was three months old. I was so excited to get to meet her too. When her mom booked her session she told me that Abbigail was chunky but I had no idea how chunky until I saw her in person. She has the most adorable baby rolls I have ever seen and she was such a little ham for her milk bath session. I LOVE how they turned out! 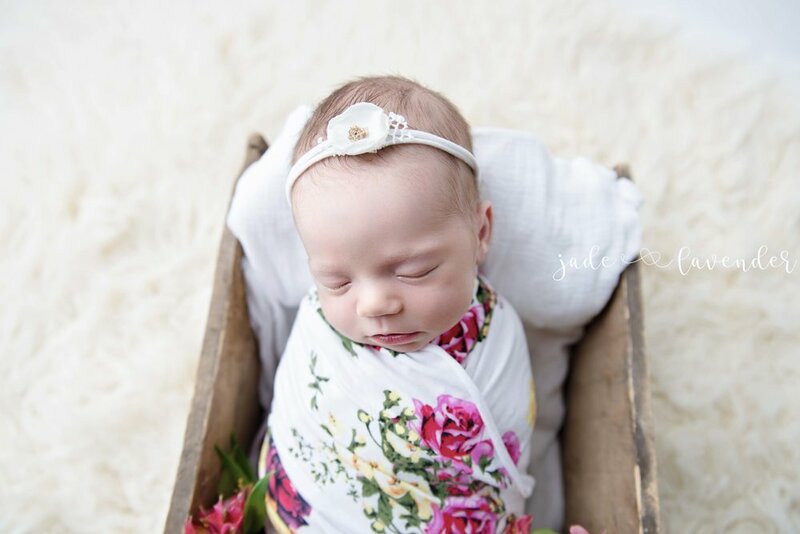 Jade and Lavender Photography specializes in newborn, maternity and baby photography serving families from Spokane, Spokane Valley all the way over to Coeur D’alene. You can reach Shandi Norris at jadeandlavenderphotography@gmail.com to book. One of my favorite things as a newborn photographer is to get to see the Newborns that come into the studio grow over their first year. I had the the privilege to capture Kala when she was pregnant with Coral and then just a few short weeks later baby Coral was ready for her Newborn debut! When Kala messaged me to book her three month tummy time session I was so excited to see her again. During her session to only way we could get her to smile was to play “baby Shark” over and over again. I think I had that song stuck in my head the next few weeks. It was totally worth it though. 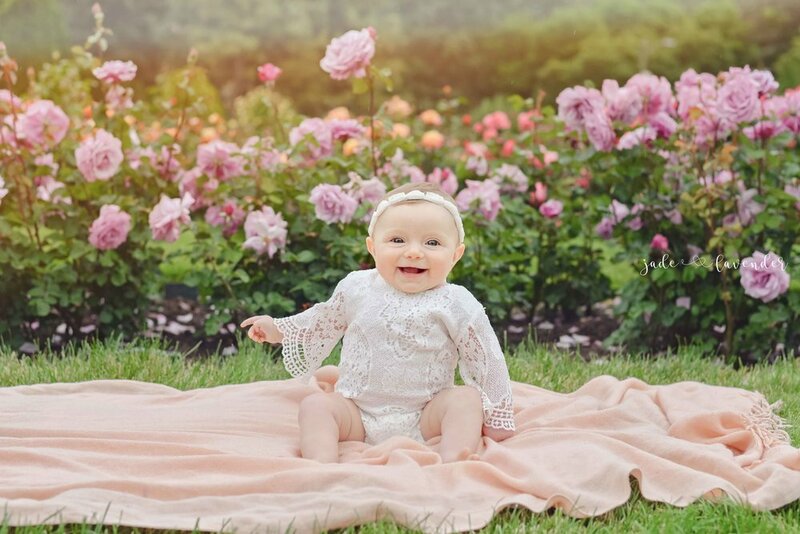 She is just so darling and I can’t wait to see her again for her 6 month milestone session. 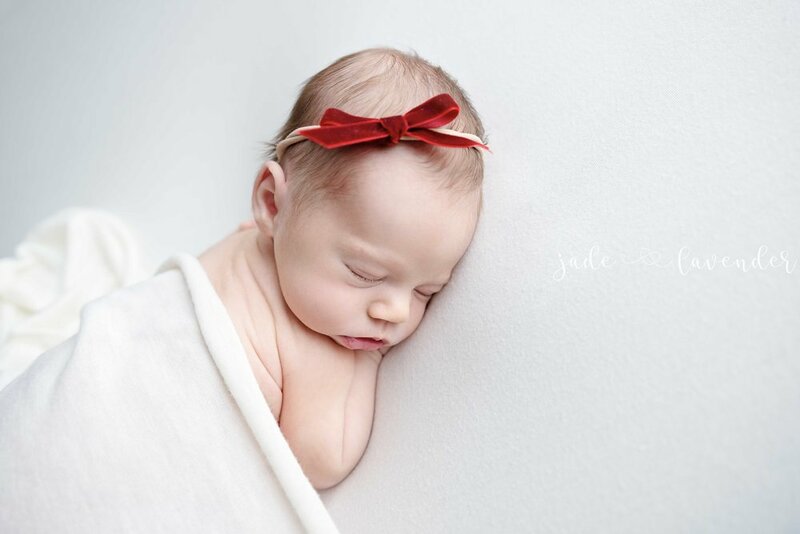 Jade and Lavender Photography specializes in newborn, maternity and baby photography in Spokane, Washington. Serving families from Spokane, Spokane Valley all the way over to Coeur D’alene. You can book your session by email Shandi Norris at jadeandlavenderphotography@gmail.com. I have really enjoyed watching baby Isabella grow over the months. She is always all smiles and makes my job so easy. Her beautiful eyes are enough to make you swoon and those eyelashes are every woman’s dream. I can’t wait to photograph her first birthday. Those bottom teeth are just the most adorable thing…She gives me so much baby fever! 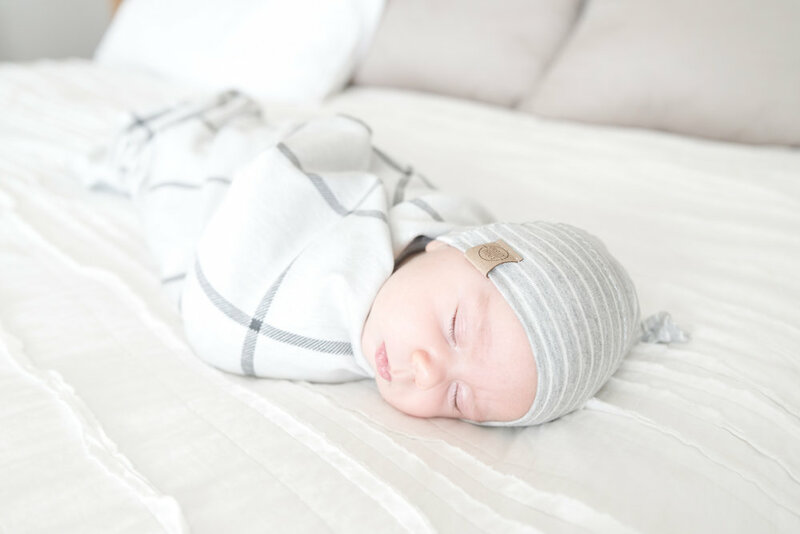 I can’t get over how adorable this newborn session turned out. I just love baby Keira’s chunky cheeks! She is just so darling. I also adored getting to capture her with her older brother who is just so in love with her. Is there an better gift you can give your children? I don’t think so. 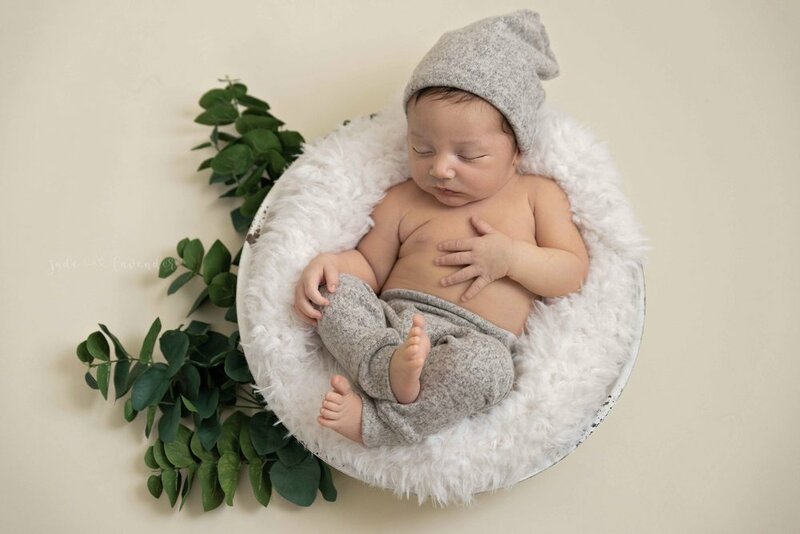 Jade and Lavender Photography specializes in newborn, maternity and baby photography Serving families from Spokane, Spokane Valley all the way over to Coeur D’alene. You can reach Shandi Norris at jadeandlavenderphotography@gmail.com to book or by going to the contact tab. 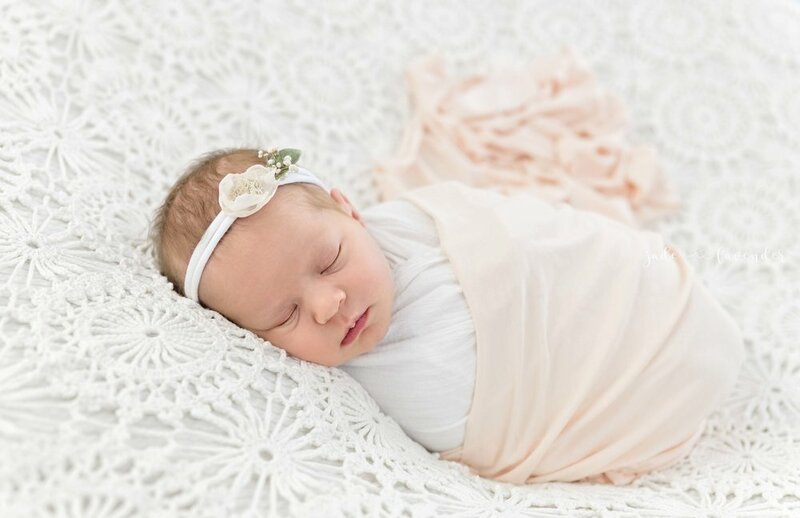 Baby Karrah gave me a run for my money with her Newborn photos but she was an absolute dream for her tummy time photos. It always amazes me just how much our babies grow in such a short amount of time. You don’t think they could get any cuter but they somehow find a way. 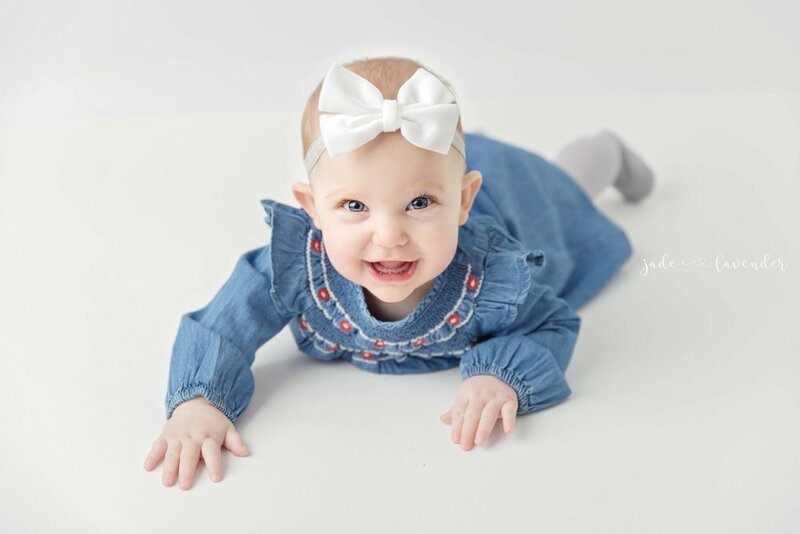 Baby Karrah is so ADORABLE and has a smile that can melt your heart in seconds. I can’t wait to see watch her grow this year. I love my job so much. Tummy time sessions are some of my favorite to photograph. 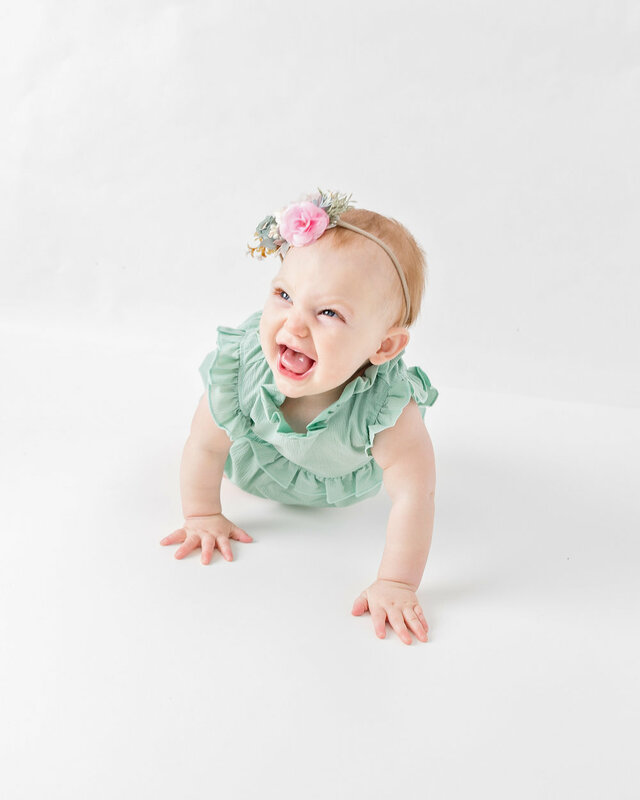 I just love taking photos of babies and 3 month milestone are such a blast. I love those chunky thighs and I love that they are so interactive at this age. 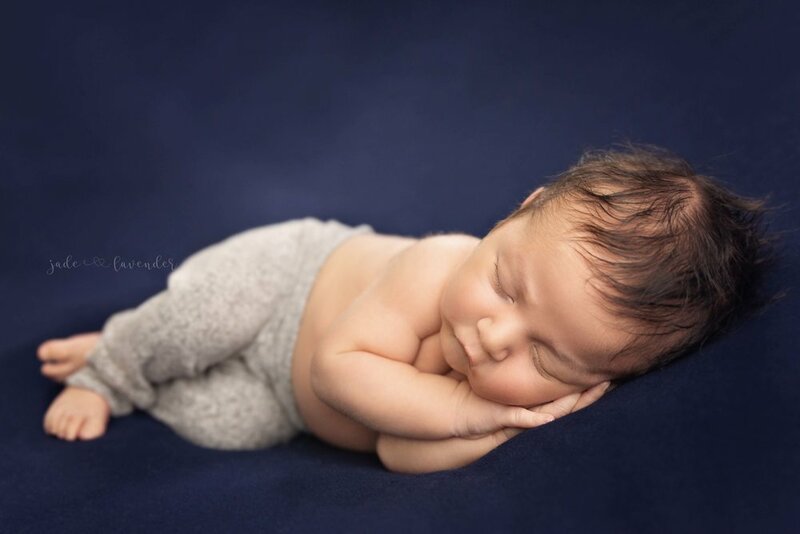 Baby Ezekiel is just so adorable and was such a little ham during his session. 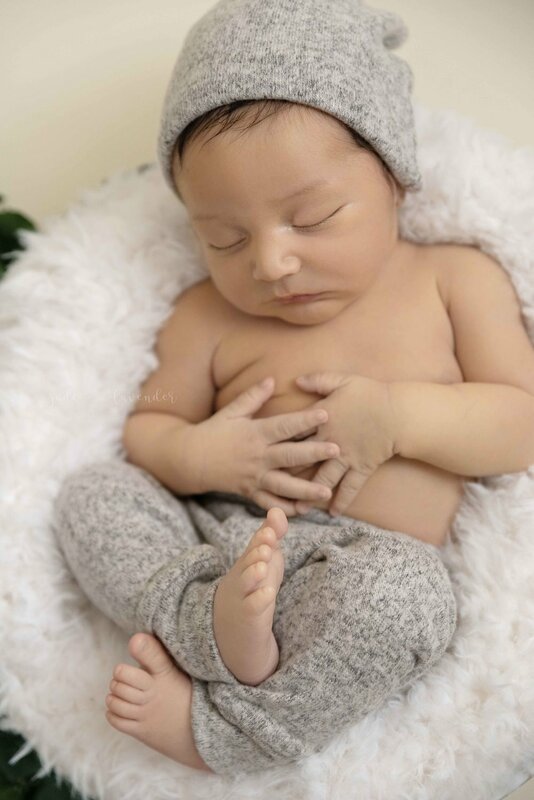 Jade and Lavender Photography specializes in newborn, maternity and baby photography serving Spokane, Spokane Valley all the way over to Coeur D’alene. You can reach Shandi Norris at jadeandlavenderphotography@gmail.com to book. I had planned to take the last part of December and all of January off to spend time with my family. 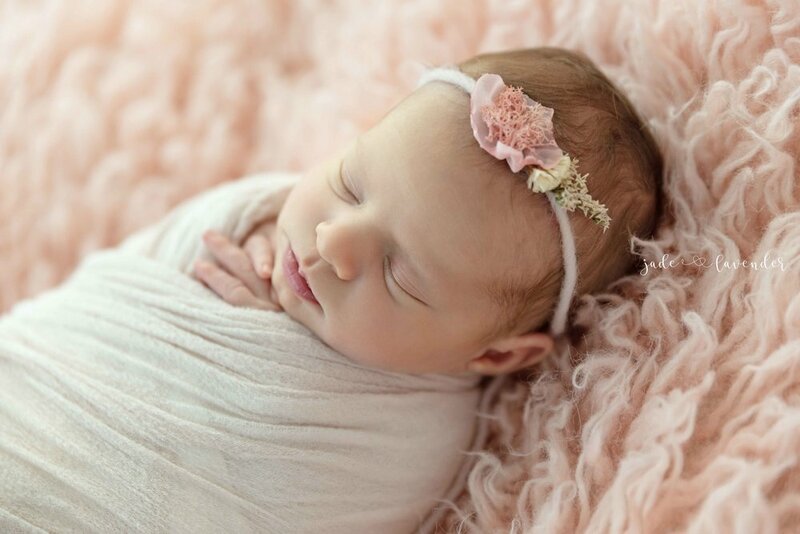 However, when I got a request to do baby Madelyn’s newborn photos I just couldn’t say no. I was able to squeeze her in on the day my family was expected to arrive for Christmas. I am so glad that I did. She was a dream to photograph and made it so easy for me. She is just so adorable and I am in love with how her album turned out. 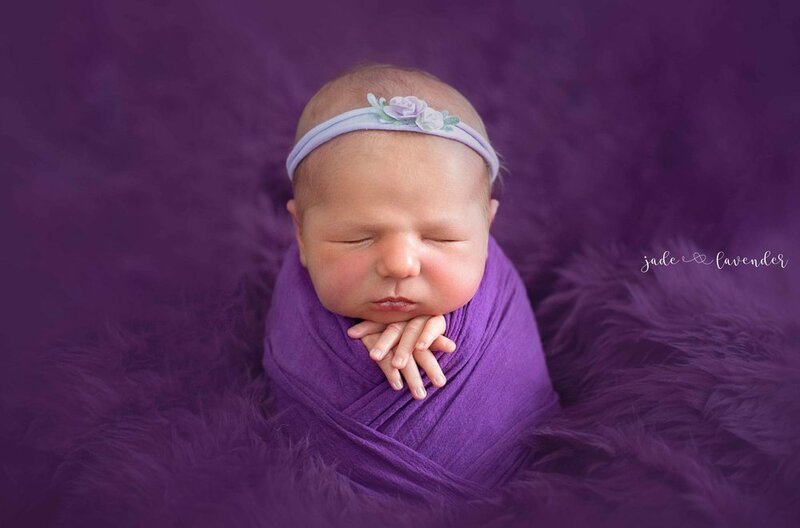 Jade and Lavender Photography specializes in newborn, maternity and baby photography in Spokane, Washington. Serving families from Spokane, Spokane Valley all the way over to Coeur D’alene. You can reach Shandi Norris at jadeandlavenderphotography@gmail.com to book your newborn session. I was so excited to meet baby Coral. I had the pleasure of taking her mom’s maternity photos and couldn’t wait to take her newborn photos too. I was also very excited to find out what name they were thinking of naming her since they were keeping it a secret until she was born. I absolutely love the name they decided on. My daughters name is Coralee so It made my heart happy to hear that it was similar. I just love how these photos came out. She is just so darling! 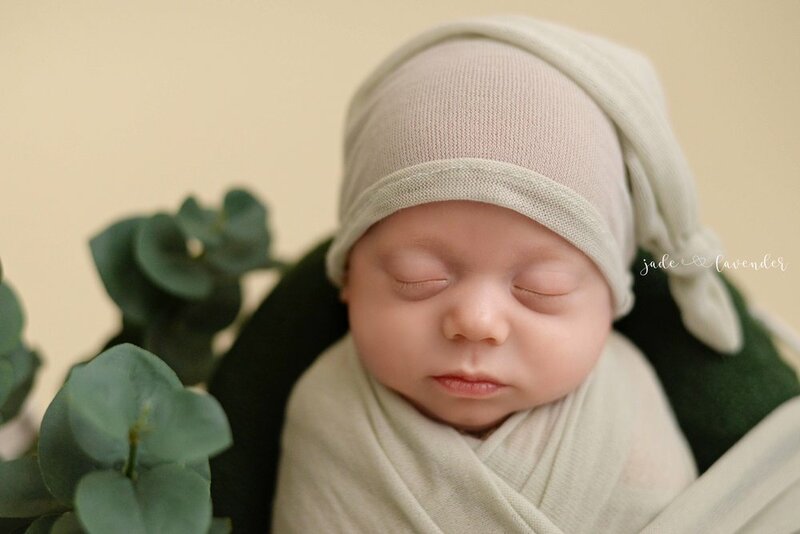 Jade and Lavender Photography specializes in newborn, maternity and baby photos in Spokane, Washington. Serving families from Spokane, Spokane Valley all the way over to Coeur D’alene. You can reach Shandi Norris at jadeandlavenderphotography@gmail.com to book. Here are some of the adorable photos from our session. How cute is her product? The real question is how cute are these babies? 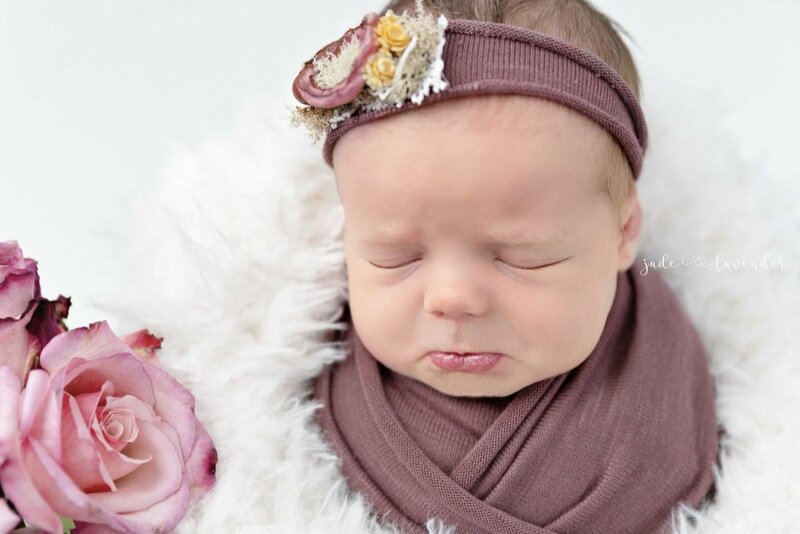 Jade and Lavender Photography specializes in newborn, maternity and baby photography Serving families from Spokane, Spokane Valley all the way over to Coeur D’alene. Email us at jadeandlavenderphotography@gmail.com to book. I was so excited when Isabella’s mom wanted to book her six month milestone session. I had the privilege to capture her three month milestone photos already and I absolutely loved it. I adore being able to watch the babies I capture grow and love getting to incorporate similar items in each session to compare how much they have grown. For Isabella I used a white bowl in both sessions and It’s just darling. I love her big beautiful eyes and her captivating smile. She is the happiest baby ever and is so much fun to take photos of. I LOVE doing milk baths. I love how simple yet beautiful they are. 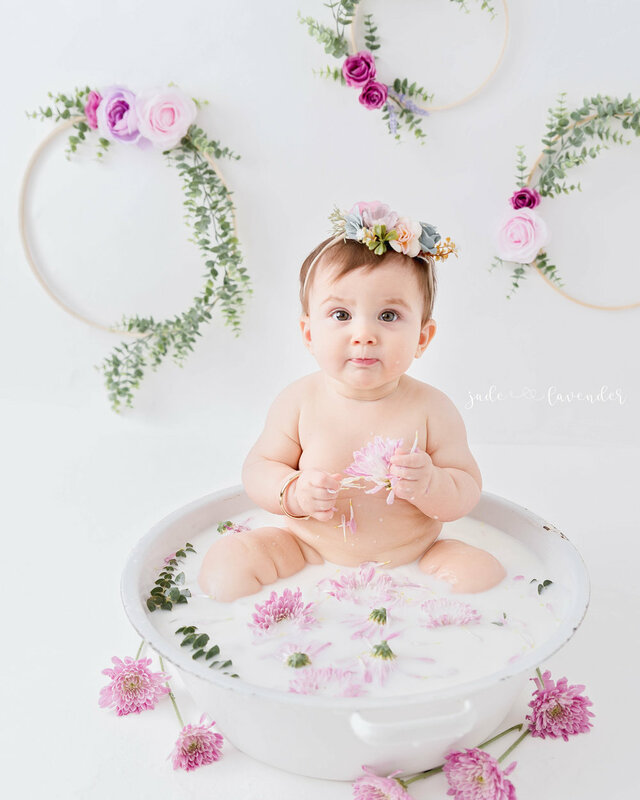 I love incorporating fresh flowers in all my sessions and milk baths are the best for this. It was so fun watching Isabella try to eat all the flowers and just explore. 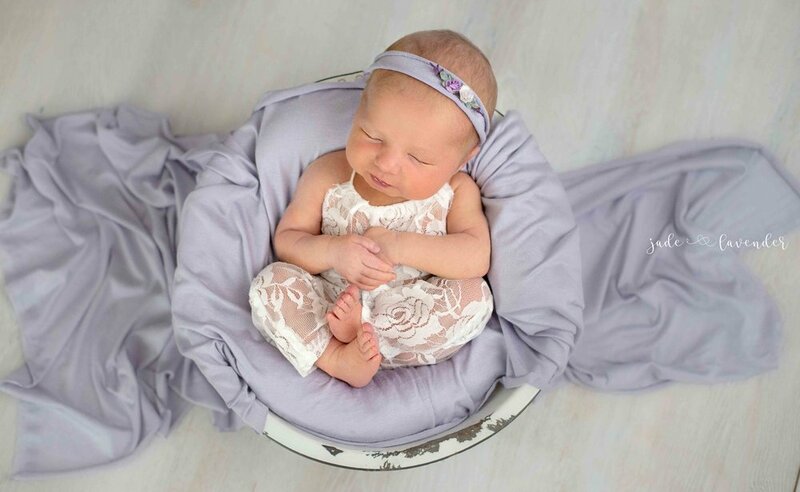 Jade and Lavender Photography Serves families from Spokane, Spokane Valley all the way over to Coeur D’alene specializing in newborn, maternity and baby photography. You can reach Shandi Norris at jadeandlavenderphotography@gmail.com to book your next milestone or milk bath session. Sweet Isabella just turned three months old and she is just adorable. I love those big beautiful eyes and her capturing smile that makes my me want to just snuggle her up. Her parents just adore her and I can absolutely see why. This is such a fun age to photograph and I love doing simple set ups to showcase all the cute features. It’s also so fun because at this age they are so interactive and it doesn’t take much to make them smile. 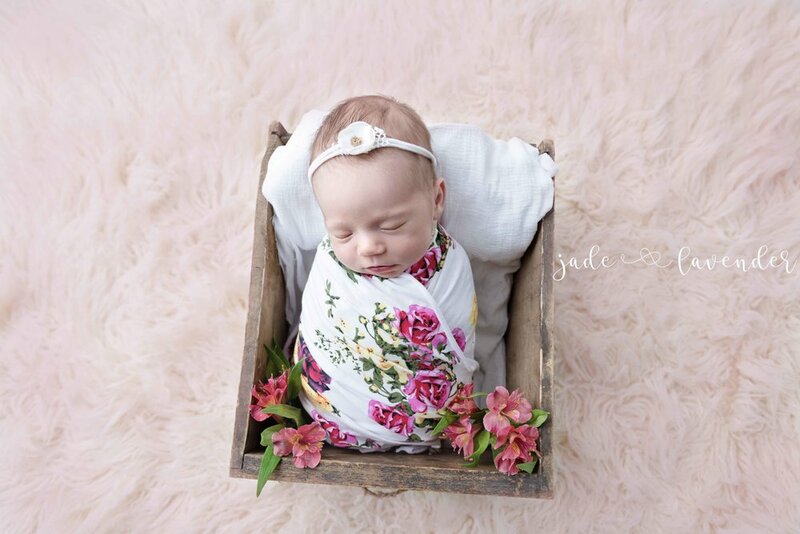 Specializing in newborn, maternity and baby photography Jade and Lavender Photography Serves families from Spokane, Spokane Valley all the way over to Coeur D’alene. You can reach Shandi Norris at jadeandlavenderphotography@gmail.com to book. 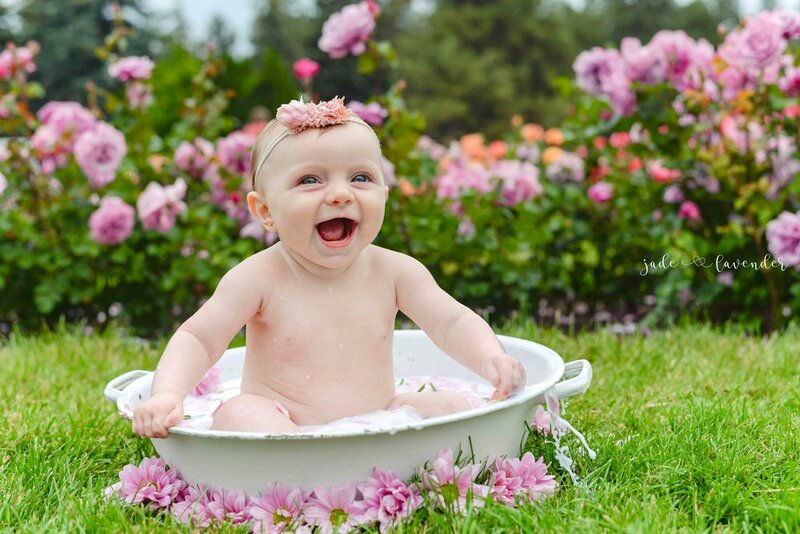 I just adore doing Milestone photography and love when I can pair it with an adorable Milk bath photoshoot. Little Winter is just turned six months old and is such a sweet baby. Her smile lights up the space around her. The Rose Garden at Manito Park in Spokane was the best location for this session. I just love how these milk bath photos turned out.